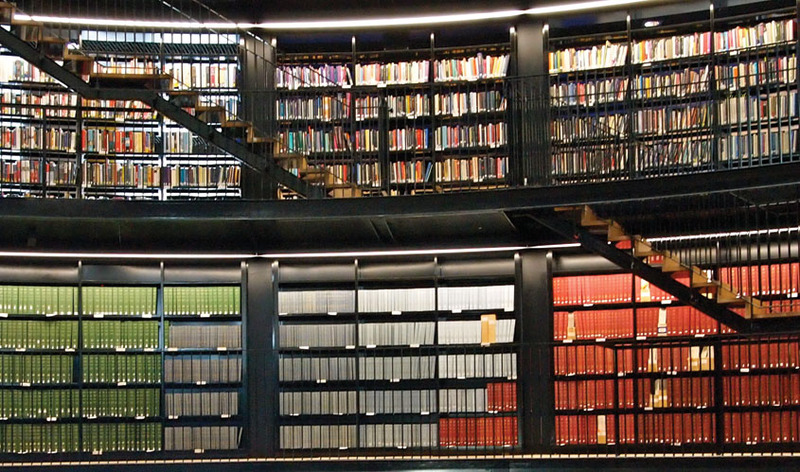 The day the bookcases of the old Birmingham Central library were emptied was judgement day for hundreds of books. Only the pretty, well maintained and neat books were to be taken forward to their new destination; the polished, glossy shelves of the magnificent new library. However, as the library emptied it became a dusty graveyard to the skeletons of damaged and unwanted books, now too frail to perform their literary duties. However, Birmingham artist Susan Kruze heard these lost books’ silent cries for salvation and took them into her care. Each book was securely wrapped in brown paper and string and sent off to the homes of forty artists, illustrators and printmakers across the UK, who were set the task of creating a new spirit for their lost book. Ignorant of what book they received, the artists recorded their responses as they unwrapped their book from its paper cocoon and have since documented the artistic development of their lost book project. Two years later these lost books have returned to Birmingham and have been given a new home in the Library from which they were once rejected. In a world where most regard it sacrilegious to write in a book in pencil, the artists were placed in a rare position; they had been hoisted onto a platform above all the morals of literary etiquette, a place where they were now permitted to transform the book to their heart’s content. Susan Kruze wanted the artists to help her reveal and ultimately celebrate the magic and beauty of books through their artwork. The damaged books, manuscripts, and music scores, some of which were over a century old, have undergone an array of imaginative, artistic reconstructions; they have been torn apart and glued together to be reconstructed into sculptures and paper models. Their pages have been illustrated on, their texts have been added to or sometimes removed entirely, and some have even been given their own voice! Their typefaces have been defiled, their binds have been broken and their pages have been torn, but the books have never looked more alive. By destroying the worn and tattered bodies of books which were never going to live again through the minds of readers, Susan Kruze, with the help of the artists, has given these lost books a new lease of life by creating a way for them to be appreciated and loved by both readers and non-readers. Not only can visitors admire this magnificent array of literary artwork, seeing books in a form that they’ve never seen them in before, but they also have a unique chance to view the archived video recordings of the artists’ two year projects with their lost book, offering a rare insight into artistic practices and thinking. To celebrate the opening of Europe’s largest library as the Library of Lost Books has united with the Library of Birmingham, Newman University and the Typographic Hub at Birmingham City University for a three day conference on Resurrecting the Book in the new Library of Birmingham from 15th to 17th November 2013. Plenary speakers include Professor Sir David Cannadine of Princeton University, Dr David Pearson of City of London Corporation, Professor Johanna Drucker of University of Arts and Professor Nicholas Pickwoad of UCLA. Other confirmed speakers include Professor David Roberts, Linda Carreiro, Sarah Bodman and Dr John Scot-Warren. To find out more about the conference visit resurrectingthebook.org. This entry was posted in Art, Birmingham and tagged Discovery Season, Library of Birmingham, Library of Lost Books. Bookmark the permalink.